De-seed the dates and soak in milk for 30 minutes to make it soften. 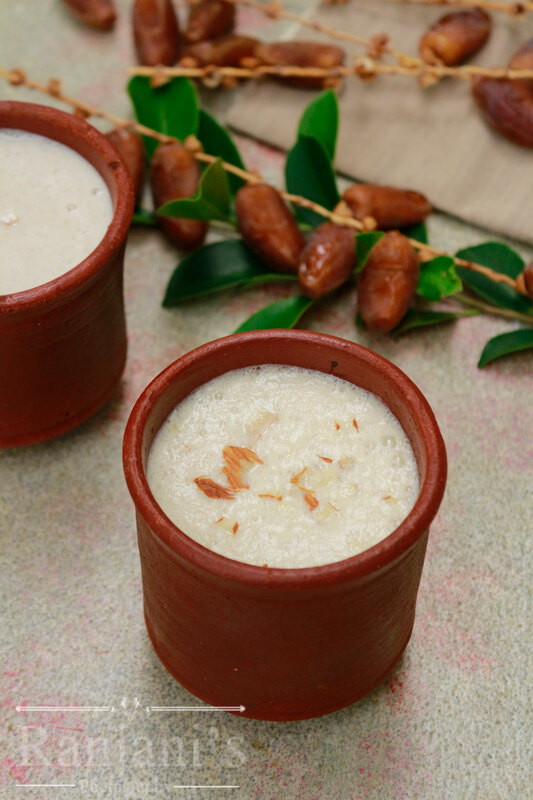 In a mixer, add soaked dates along with milk, curd, chilled water, and sugar or jaggery which you are using. If you are using honey add it while serving. Process the mixer until it reaches creamy and smooth. best recipe for ever thank you for sharing . Awesome! Thanks for sharing such a delicious recipe.